Listen to the song, Shock, below. There is five guys in Tesla. Why do they need Phil Collins to help co write a new cd? These guys smoke some serious weed. There better be some rockers on this new cd. Saw these guys last year in an outdoor venue in northern Colorado, really fun show. Definitely looking forward to this one! All of Tesla’s recent CD’s have been really good, especially “Simplicity”. It will be interesting to hear what Phil Collen’s contribution to be the sound of this record. The first three releases are masterpieces! I always go back to those three. Then Bust a Nut and the following three studio releases are good but not as good as the first 3. I rather hear the band Tesla writing their own music and getting back to that killer sound that they once had. Hate to say this but I’m nervous about this Tesla record. Phil Collen is a good player but the only Def Leppard albums I truly love are the first three. Since “Hysteria”, in my opinion, every album since has had like 3 good songs on it since DL decided to be a pop band vs a rock band. I really, really like Tesla but I hope they don’t lose their balls on this one. 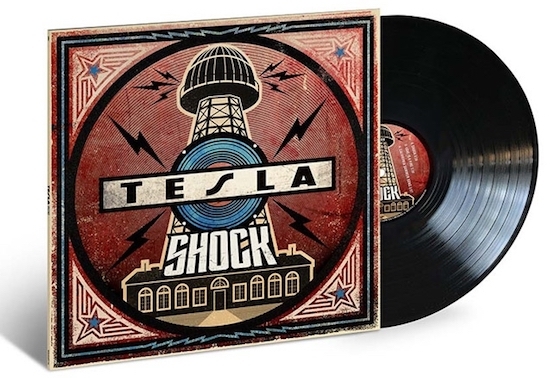 Tesla is not about songs like “Signs” and “Love Song” for me, they’re the band that does “Modern Day Cowboy”, “Edison’s Medicine”, and so many more fist pumping rock songs. Sorry to put it so bluntly. I’ve enjoyed the couple albums they’ve done in the last… oh boy like 10+ years? But they still rock. Please Tesla, still rock. For that matter, please Phil Collen and Def Leppard, still rock. Unleash Vivian Campbell, if he still remembers how to riff and shred from his early Dio days. Ask THAT Vivian Campbell to show up on record. Eddie Trunk knows what we’re asking for. Make the spiritual successor to the High N’ Dry/Pyromania sound: plug in, crank to 11, and write like you’re 22 again. I’m 45 and that’s still what I want to hear, AND PAY FOR! Didn’t mean to make this comment crossover fully to Def Leppard, but the connection is there so there it is. Tesla, don’t try to be a pop band. Be the great rock band that Tesla is.